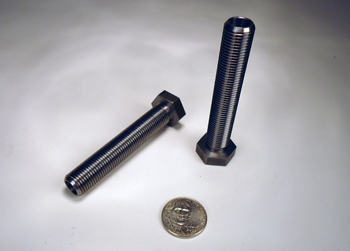 All of our leveling legs are machined in-house at a tolerance of +/- .005. We start with a hex shaped bar of 12-L-14, turn diameter and cut threads. We inspect the threads of every leveling leg to ensure we provide a quality product. We can also run special sizes upon request.